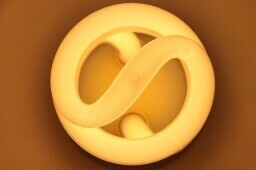 This blog has been around long enough that I wrote about CFL bulbs when they were new. Now, they’re yesterday’s news. The newest standard is LED bulbs. I’ve been having a debate about when to replace CFL with LED bulbs. Read why. Do You Replace CFL With LED Bulbs Before They Burn Out? Way back when, in 2011, I started replacing incandescent bulbs with CFL bulbs when our electric company started subsidizing them. Our local Home Depot offered them at about half price, with the electric company ‘paying’ the difference. Now, they’re doing the same thing with LED bulbs. They’re on sale for a little over a buck per bulb. That’s really cheap, so I’ve been buying a few at a time (there’s a limit per number of bulbs you can get in a transaction at a discount).